Learn more about Sarah here! What is "Wellness" All About? Living a healthy, balanced life is important to both of us and something that we seek to grow in. Sarah is a certified personal trainer and there are not many people that love working out more than her. What is "Faith" All About? 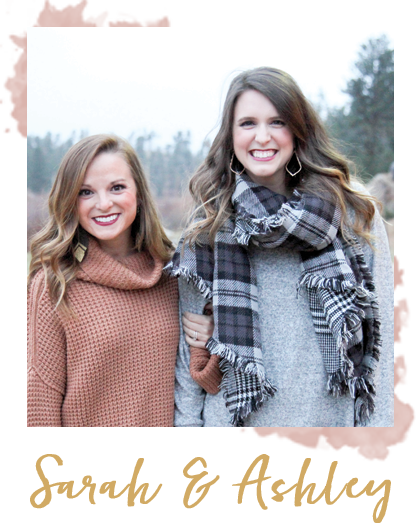 The thing that has most shaped both Ashley & Sarah is the never stopping, never giving up, always & forever love of God, which is why it is so important for us to share that with you. What is "Lately" All About?